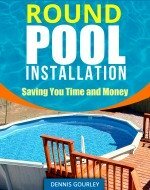 We have a 12' by 48" round frame pool, we set it up and filled it up after replacing the sand from last year. Last year it was 1 inch unlevel but when we measured it today it is 1 inch and 3/4th out of level, none of the poles are tilting but one side of the liner appears to be pulling in a lot more. Almost all the way around the pool it is a gradual slope but a couple of the legs suddenly go higher on one side and on the other end they have sunk into the sand a bit. We have tried removing some dirt from underneath the high legs but the tarp we laid down makes it difficult and we couldn't get any out. Does it need to be drained out and re leveled or will it be ok for the summer? It only gets used once or twice a week, not sure if that makes a difference. Hi Jodie You should be just fine as long as you keep an eye on it. If it gets worse consider draining.